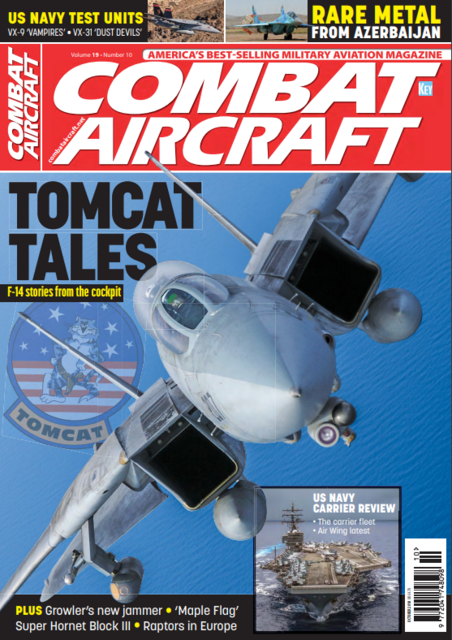 Combat Aircraft - October Issue - OUT NOW! 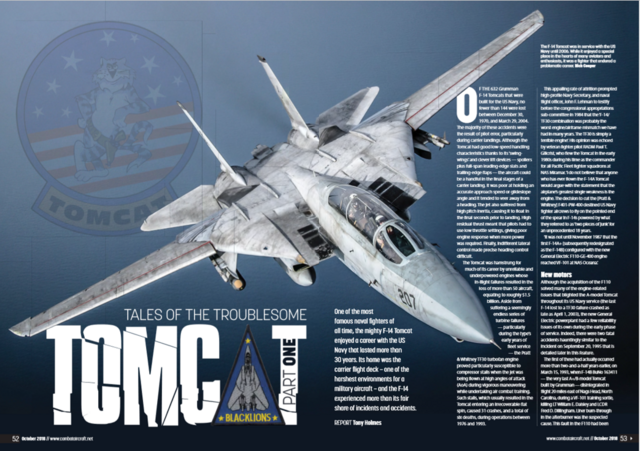 Join Rich Cooper as he gets up close with the mighty F-14 Tomcat and discover how this popular US Navy fighter suffered from a poor safety record in service. Gert Kromhout meets VX-31 'Dust Devils', a squadron that operates largely out of sight, but which performs one of the most important duties when it comes to fleet capabilities. The EA-18G Growler is a vital asset for the US Navy in the airborne electronic attack role. 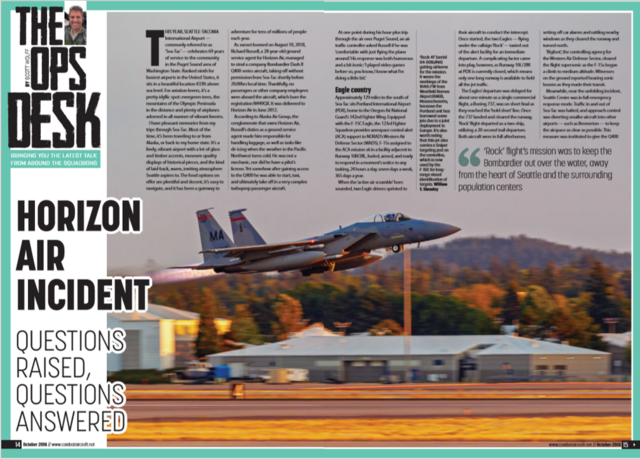 Jamie Hunter investigates how it is set to increase its capabilities via the Next-Generation Jammer initiative. Combat Aircraft's regular feature looking at highlights of the recent past - this month it's a VMA-513 'Flying Nightmares' AV-8C Harrier. Scott Wolff's new column for Combat Aircraft assesses the Horizon Air Q400 incident in August and the actions of the Oregon Air National Guard in controlling the situation as it evolved. Screaming down a remote valley to hit a target with precision, banging down on a carrier deck, engaging fighters at range - it's what VX-9 'Vampires' is all about. Kedar Karmarkar examines the unit that ensure the US Navy gets just what it needs. The US Navy is unparalleled when it comes to carrier-borne aviation. Tom Kaminski details the current status of US naval carrier aviation. Andreas Rupprecht examines China's expanding electronic warfare capabilities with the Y-8GX-6 and KQ-200. PLUS, THE LATEST MILITARY AVIATION NEWS FROM ACROSS THE GLOBE AND MUCH MORE! Last edited by UPDATES; 6th September 2018, 10:34.